The annual Leadership Louisville Luncheon convenes the region’s most influential leaders in business, government, nonprofit and civic engagement. Each year we partner with the Office of the Mayor to bring in a guest mayor from a major US city, to share challenges and solutions with Louisville’s civic leaders. In 2018, we held the event at the fabulous new Omni Louisville Hotel. Sponsorship opportunities are available now for the 2019 event. Keynote speaker Mayor Pete Buttigieg (BOOT edge-edge), was called, “The most interesting mayor you’ve never heard of,” by The Washington Post. 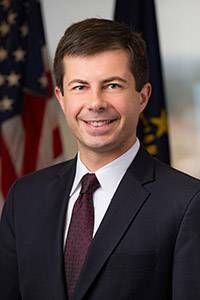 He’s a Harvard graduate, Rhodes Scholar, Afghanistan veteran and counter-intelligence agent for the U.S. Navy, musician, businessman, polyglot (speaks 7 languages), and two-term millennial mayor of South Bend, Indiana. Mayor Pete, as he’s called in South Bend, represents what a newer generation of leaders looks like. Besides his rising national prominence, he’s been able to put theory into practice and create solutions that make a difference in his city. His innovations span a broad range of initiatives, from essential urban services, infrastructure, and early childhood education, to economic development projects that address abandoned properties, cut unemployment in half and created a tech hub affiliated with Notre Dame. 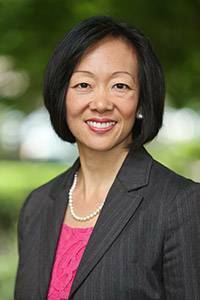 Moderator and national expert on cities and metro areas, Amy Liu, will lead a conversation with Mayors Fischer and Buttigieg on how leaders in business, government and civic sectors are working together to drive innovation and economic growth in a way that boosts productivity and living standards. She’ll share Brookings research on the impact of the digital economy, millennial leadership and the future of mid-size cities, followed by dialogue with the mayors on how to prepare for changes coming our way. For additional details, call (502) 561-0458 or email Jennifer Stevens. Advance Ready Mix Concrete, Inc.